WISH 98.9 FM is southeastern Illinois’ home for today’s hottest hits with a mix of light pop and electronic dance. WISH is at-work friendly all while maintaining a cool edge for the younger listener. WISH is also community-centric with local news, weather and sports reports. 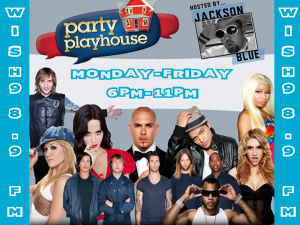 and Open House Party with Kannon 6:00 PM-11:00 PM Saturdays and Sundays from 6:00 PM – 11:00 PM.